MPBN and WGME-TV have until next week to submit portions of interviews with former prosecutor Pamela Ames for private review by the court. A judge in Cumberland County has ordered two Maine media outlets to hand over outtakes from recorded interviews with Pamela Ames, the former assistant attorney general who won a conviction against Anthony Sanborn Jr. for the 1989 murder of 16-year-old Jessica L. Briggs. Justice Joyce Wheeler’s order aims to determine whether the material has any bearing on the case. Sanborn spent 27 years in prison before being released on bail last month after a key witness recanted her testimony and his lawyer argued that he had been the victim of prosecutorial misconduct during his trial. The Maine Public Broadcasting Network and WGME-TV have seven days to comply with Monday’s order. Wheeler said she would first review the material privately to determine its value in the case. The order pits the First Amendment rights of media organizations, which resist government orders to turn over notes, sources or unpublished documents deemed unfit for publication, against Sanborn’s Sixth Amendment right to confront his accuser and cross-examine witnesses. A law in Maine provides for limited and qualified protection of confidential sources, but provides no such protection for non-confidential sources. Such provisions are often called “shield laws,” because their language protects journalists’ notes, documents and source material from being revealed by courts or law enforcement. According to the Committee for the Freedom of the Press, 12 states have absolute shield laws that protect sources, 25 have qualified laws, and 13 states have no shield laws. Amy Fairfield, Sanborn’s attorney, in her argument to have the material turned over, wrote that the interview material would be critical to preparing Sanborn’s case, and that Ames’ statements about her knowledge of the case cut to the heart of Sanborn’s claims of innocence. “The in camera review will allow the court to better balance the competing constitutional interests and ensure that disclosure of journalistic products is limited to cases where information would, in fact, be of significant utility to the petitioner (Sanborn),” Wheeler wrote. In her decision, Wheeler cited a 1990 decision by the Maine Supreme Judicial Court that partially mirrors the present situation. In that case, Denis Lettelier was one of three police commissioners in Biddeford being investigated for using the influence of his office to fix a drunken-driving charge against his son. Letellier gave an on-the-record interview to a reporter from WCSH-TV, in which Letellier incriminated himself. The reporter was called before a grand jury, but refused to testify or turn over the tape. 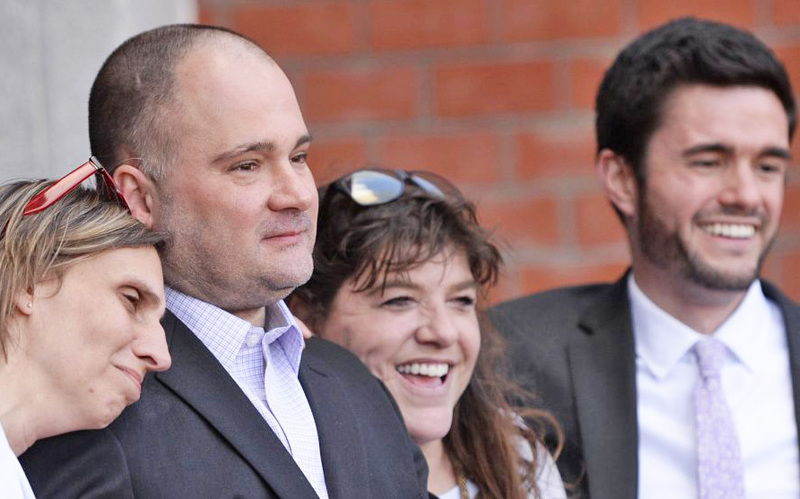 The case went to the Maine supreme court, which decided that even after balancing the competing interests of press freedom and the pursuit of justice, there was little reason to protect the unpublished tape because Letellier spoke on the record and was not a confidential source. Wheeler noted that the Letellier case differs in that Letellier could have faced criminal charges. Ames, on the other hand, is expected to testify in a proceeding where she does not face prosecution, and her testimony is expected to be consistent with the substance of the interviews given to the TV and radio stations. 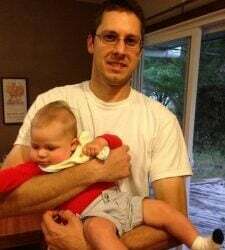 Sanborn spent 27 years in prison before Fairfield convinced Wheeler in April that new evidence discovered in the case showed prosecutorial misconduct and a concerted campaign by Portland police to prosecute Sanborn despite a lack of evidence linking him to the crime. The state’s star witness, Hope Cady, who told jurors she had witnessed the murder, recanted her testimony, and said she has had vision problems all her life. Wheeler granted Sanborn bail, the closest any Maine prisoner has come to overcoming a murder conviction. Sanborn has maintained his innocence since he was arrested in 1990 and later sentenced to 70 years in prison. Ames, now an attorney in private practice in Waterville, has not responded to multiple requests by the Portland Press Herald for an interview. 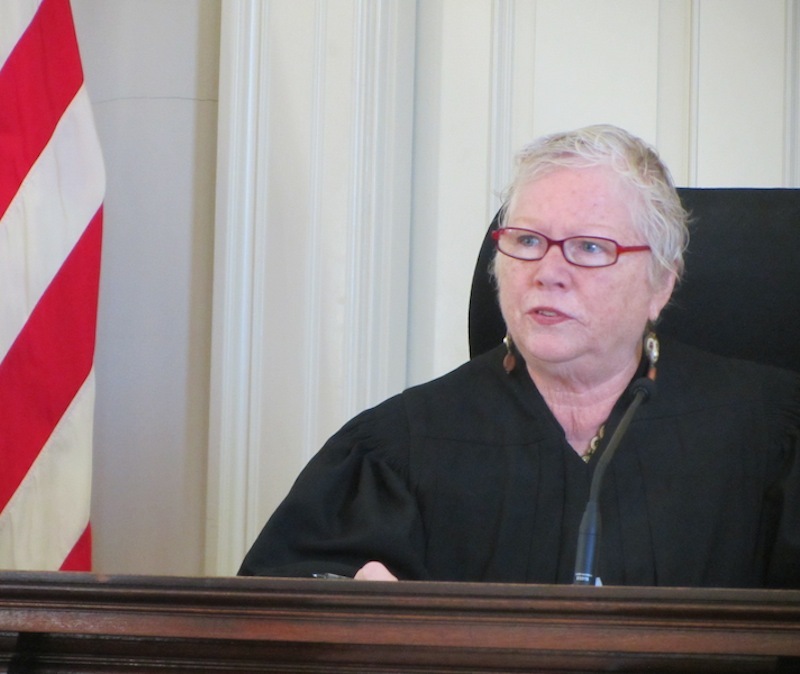 But in interviews she gave to MPBN and WGME, Ames said she never pressured witnesses to testify in a certain way, as Fairfield alleges, and that she is eager to testify at Sanborn’s evidentiary hearing, which is scheduled for late July and early August. In the television interview, Ames had a similar message, and said physical evidence in Sanborn’s case pointed to his guilt. In that interview, Ames also denied threatening witnesses. Keith Shortall, director of news and public affairs for MPBN, declined to comment on the judge’s order to produce the tapes for the court. Kathy Reynolds, WGME’s news director, did not respond to a request for comment. Both news directors filed affidavits saying that disclosing the information would set a troubling precedent, and have a chilling effect on future news gathering. “If we are required to hand over outtakes for a case like this, we could be subject to countless other subpoenas – fishing expeditions – for irrelevant or minimally relevant materials, at great expense measured by our own time and expense in legal fees,” Reynolds said. An attorney for both outlets, Sigmund Schutz, declined to comment following Monday’s order. Schutz has also represented the Portland Press Herald/Maine Sunday Telegram in other cases.